You have an idea that you will be better equipped and more comfortable riding if you buy some new gear. Great in principle and there are thousands of different items of cycling gear readily available. A new pair of cycling shorts is an obvious place to start thinking practical comfort for the many hours you intend to be in the saddle, the last thing you want to be concerned about is an uncomfortable rear when you have many miles ahead of you to eat. On first glance, a pair of cycling shorts may seem the case of a quick glance, check the size and off you go! The reality of course is, that there are a good variety of different options even when it comes down to a good pair of cycling shorts; and it’s generally a sound idea to do a bit of research and shopping around before you spend your hard-earned dollars. This review will peek at ten of the best pairs of cycling shorts, to give you a bit of a head start on your way. And the basic guide will direct you through a few considerations you may want to think about taking into account before you buy. The top three recommendations are placed as such because they each offer different qualities and practicalities; the remaining seven are placed to give you a better range of cycling shorts to check out to see if they can offer what your individual requirements are. The ten best cycling shorts are a varied range to give you a greater overview of the vast amount of different options available on the market. These cycling shorts are offered in a good variety of colors and sizes and are produced using eighty-two percent nylon with eighteen percent spandex and lycra. The inseam is a comfortable UPF fifty plus point nine inch for reduced rubbing and chaffing; this boasts being able to reduce bacteria build up by lowering sweat produced whilst riding. The shorts benefit from two reflective logos to help improve visibility and rider safety. The shorts have a twelve panel chamois for superior comfort, it is designed ergonomically for a dryer fit. It offers thirty-eight vents for better airflow and has Terminator 4D Coolmax cushioning to provide a better level of both padding and dryness. 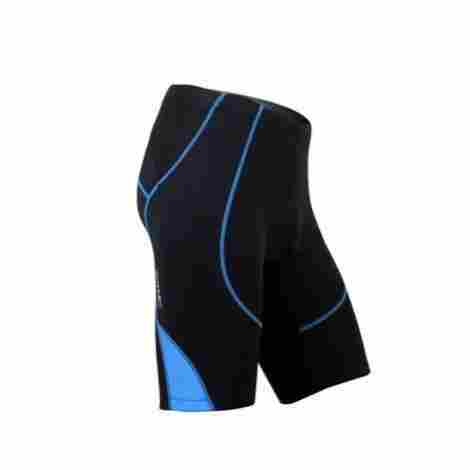 The shorts have practical features that include silicone strips on the leg cuffs to prevent riding up and twisting; and also have an effective mesh on both sides of the waistband to improve breathability and air cooling for reducing heat build up. 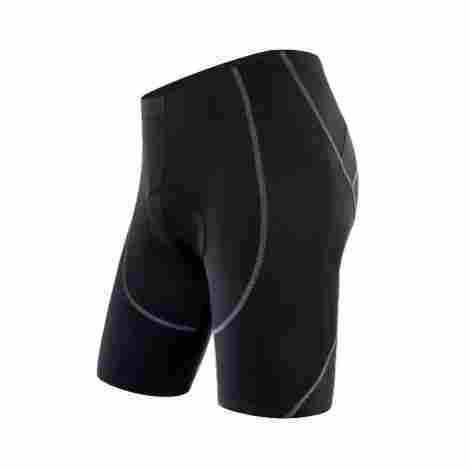 The effective features that are provided in these cycling shorts combined with the ultra-padded chamois and technologically manufactured materials, ensure these shorts are well balanced on both cost and value and are worth the money paid. The Sportneer cycling shorts are designed as a second skin fit and are produced in a sculptured fashion that acts as an aerodynamic friendly fit and provides maximum comfort. The eighty-two percent nylon and eighteen percent spandex mix offers a breathable moisture transfer that reduces the risk of excess moisture build-up and related chaffing, sores, and dampness. The incorporated stretch on seams reduces pulling and help the shorts to stay put when on any ride. The seat padding benefits from triple layering that consists of an antibacterial layer next to the skin, a high-density permeable foam layer for an improved structure and a foam layer that not only offers comfort but is breathable too. The Sportneer shorts have a useful cat eye reflector for improved visibility, and for safe comfort, the legs cuffs have silicone grippers on to reduce the risk of twisting and riding up, the snug secure fit reduces distraction on the road. The practical features with the shorts including the three-layered padding, and breathable design make these not only functional but also offer great balance between both cost and overall value, the extra safety aspect improves this further. These Baleaf 3D are designed as cycling underwear shorts and are produced using ninety percent polyester and ten percent spandex for a lightweight finish that doesn’t chafe or rub. They boast being moisture wicking and improve dryness when it’s needed the most. The cushioning is provided in the areas where it's required the most and is ample in size to maintain comfort levels whatever distance is traveled. The underwear cycle shorts have a practical use as they are easy to fit underneath any outerwear for any discerning rider who prefers a ‘discreet’ look whilst getting the same functionality that is offered by other cycling shorts. The waistband of the shorts is fully elasticized and wide to keep them in place and reduce sweat build up, and the 3D cushioning provides much-needed protection and is ventilated to improve airflow at the same time. The balance between both cost and value is well reflected when considering the versatility offered and the features including the lightness and moisture wicking properties they have, money spent on these shorts is money well spent. This pair of Ohuhu underwear cycling shorts are manufactured with a mix of polyester and spandex for a close, comfortable fit. They boast being fully breathable and improve airflow when out cycling. They benefit from a good range of sizes; medium, large, extra large, extra extra large and extra extra extra large and are designed to fit closely from hem to waistband for improved comfort. The light fabric allows complete versatility under most active or normal day wear. The 3D padding includes a silica gel pad that is perforated for a cooler seat, the overall length of the pad is fourteen inches long and at its widest measures a tidy seven point eight inches; the padding itself boasts being over an inch thick. The Ohuhu cycling shorts use mesh in the manufacture which increases flexibility, comfort and helps to reduce the build-up of moisture through natural heat dissipation that helps quicker drying and cooling when on the move. When considering the value and cost of these underwear cycling shorts, taking into consideration the gel padding, and the mesh construction that aid cooling and comfort – both are reflected well and overall, these are good value for money. These comfortable loose fitting cycling shorts are produced using both polyester and lycra, this helps breathability and also benefits from being quick drying to reduce discomfort. The combination of a cycling short liner and baggy exterior helps to maintain discretion and do not hug curves and bulges. The legs offer more comfort due to the lack of restricting silicone banding and overall this can help to keep the legs cooler with increases ventilation and air flow. They are available in three color combinations; gray, black and gray-black and have a specific sizing chart to enable correct ordering. The SANTIC loose cycling shorts have numerous handy zippers for secure, non-intrusive storage of smaller personal items such as cell phone and keys. The waist is a conveniently adjustable drawstring for a comfortable fit that doesn’t bunch. 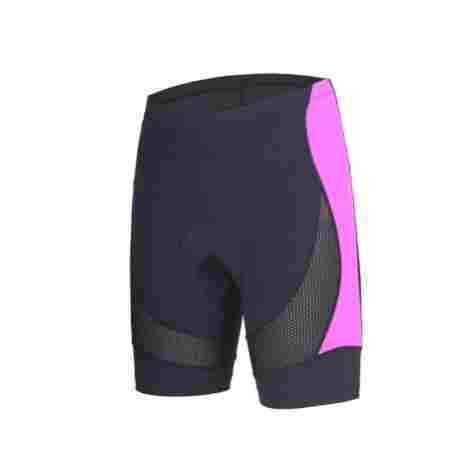 These shorts also offer a comfortable cycling padded insert that is 4D in design and creates a smooth break between rider and seat for reducing rubbing and chaffing even on the longer rides, the padding is tucked away and doesn’t show through the exterior. The comfort fit and loose design of these SANTIC cycling shorts, combined with the discreet comfort 4D padding; the safe zippered pockets and comfortable drawstring waist ensure an even balance with both cost and value. These functional underwear shorts are an ideal addition to any cyclists wardrobe for a more versatile set of gear. The discreet design allows them to be worn underneath looser fitting shorts or trousers; this makes them useful for when traditional cycling shorts are not appropriate for wearing. The lightweight and breathable material ensures maximum comfort and better air flow for the longer rides; they also boast being a practical form of wind resistance. The shorts have a comfortable padded insert that is designed to provide a break between user and saddle for less risk of sores and rubbing. The material offers a no sweat feature that helps to reduce and dissipate moisture for a dryer ride. The discreet cycling underwear shorts are specifically aimed at being worn underneath everyday clothes, which improves practicality and overall versatility and enables a comfortable commute to work or a leisurely ride off at the weekend. These low-cost 4ucycling shorts are functional and comfortable with the mesh light fabric used in the production; the discreet padding offers maximum comfort without the visibility of traditional cycling shorts, overall these are good value for money. These sponeed cycling shorts are available in five striking color combinations; white, gray, red, green and blue. They are manufactured with eighty percent polyester and twenty percent spandex lycra for a lighter and more comfortable feel. In addition; they offer moisture wicking to ensure a reduced build-up that can cause discomfort and chaffing. The shorts boast being easy care at home either in a cool machine or a hand wash. The 3D padding is combined with a gel pad that is perforated for better ventilation and offers moisture wicking, an anatomical design for high comfort levels and additional antimicrobial properties that reduce bacteria build up. 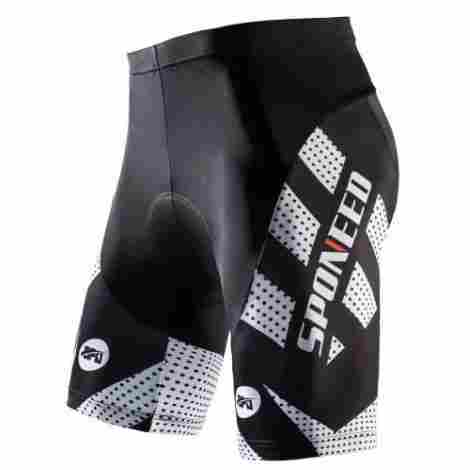 The sponeed cycling shorts are equally balanced when considering both cost and value; the comfortable and functional 3D padding, the silicone leg grips and the easy care features ensure money spent on these shorts is money well spent. These cycling shorts are produced with eighty-six percent nylon, fourteen percent spandex and have a nine-inch inseam. They are designed with a liner and an anatomically spec pad that has a 3D chamois that comprises six comfortable panels. In addition; they have a practical UPF fifty plus gauge of sun protection for more peace of mind when the weather warms up en route. The comfortable design offers a dryer and more practical wear and will reduce the risks of chaffing and rubbing. The Pearl iZUMi Quest cycling shorts have functional silicone leg grippers that reduce the risk of riding hems and twisting that can not only be distracting but can cause soreness and unnecessary chaffing when riding for longer periods. The fabric production gives added moisture wicking plus antimicrobial properties which gives greater confidence in respect of personal hygiene when riding for any period of time. The fabric also benefits from a comfortable and practical four-way performance stretch. This quality brand offers a good reflection when considering both cost and value, the nonchaffing padding and performance fabric, coupled with the moisture-wicking properties – ensure that these are excellent value for money. These beroy cycling shorts are manufactured with an eighty percent polyester and twenty percent spandex mix that provides a quality fabric with functional elasticity for improved comfort. 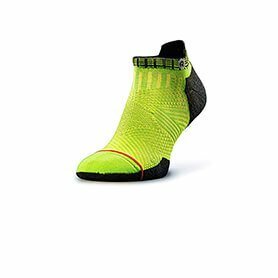 They are available in a good range of bright and contrasting color combinations and may reduce moisture build-up for a better wear even during longer rides. They fit as a snug second skin and this boasts a healthier reduction in the build-up of lactic acid. The beroy cycling shorts benefit from a silicone leg hem to reduce the risk of uncomfortable riding and twisting that can cause rubbing and chaffing as well as being an unwelcome distraction. They are also boosted with the quick drying features offered with the fabric mix. The shorts boast an inserted 3D gel pad inside and is combined with three different foam densities for a superior cushion that is more comfortable for longer, the six-panel padding sits tight where it is needed most. 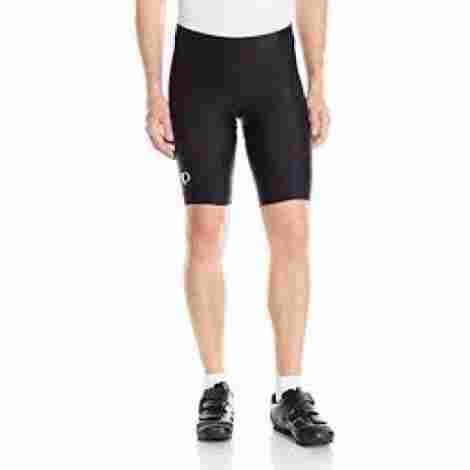 Overall, these beroy cycling shorts are great value for money when considering the balance between that and cost. The fabric construction and second skin design helps to retain comfort whilst reducing moisture build up. These ninety percent cotton and ten percent spandex cycling shorts are basic but functional for riding. They are easy care at home and offer a nontransparent look with a heavier than average gauge material. 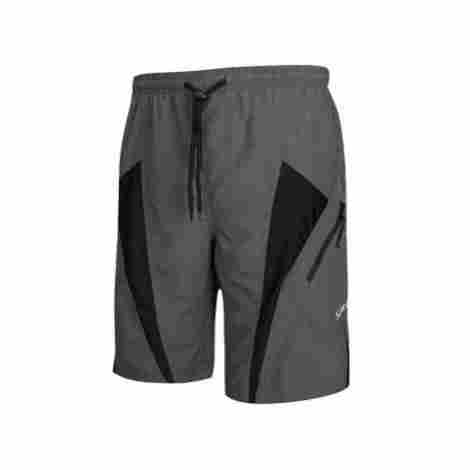 The shorts are offered in two colors; black and gray and are available in a good range of sizes. They have added versatility because they can be worn for a multitude of activities; having no bulky padding they are comfortable enough to wear all day. The Hanes Stretch cycling shorts are produced as soft jersey style material that hugs the skin in a nonrestrictive way and are less likely to bunch, ride around or twist so reduces the risks of sores and chaffing in any situation. The shorts have a practical elastic waistband that allows quick and easy access and removal and reduces discomfort around the middle when riding for longer periods. They have; in addition a comfortable seven-inch inseam for no rubbing. The overall balance of both coat and value is very well reflected in the basic; usable features that these shorts offer. The versatility and comfortable functionality they offer ensures these are excellent value for the money paid. If you dream of days gone by in a wistful haze and wish things could be like they used to be – be careful what you wish for! Back in ‘the good old days’, everything was heavier and more cumbersome; not to say make hard work of everyday activities and cycling was no different. Apart from the basic heavy bikes – riders would have to contend with the gear that was considered to be appropriate for riding in. Cycling shorts as a specific item of clothing were practically nonexistent and sporting clothing was pretty much generic no matter what you did. Wool was a popular choice for shorts, not only was it heavy and itchy; it offered no protection from chaffing, rubbing or consequential blistering, and if you got rained on – well, add a few more pounds to your already heavy load. Chamois came in the form of sheep leather – probably not the best form of comfortable cushioning to sit on for hours on end, but innovation did try to compensate for these shortfalls suffered by cyclists every day. It wasn’t until the early 1940’s however, that changes began to emerge. Initially, cycling shorts were produced using a softer jersey material and deer leather that was softened with chamois creams. Improving yes, but still not ideal for a daily commute or for more serious riding. By the 1960’s man-made synthetics began to show their worth, and although superior to wool as a more comfortable garment, chamois were still largely leather and weren’t padded. It was during the 1980’s that things really started to take off and finally a workable, man-made synthetic was invented that would transform the whole specialist sporting clothing market. Coagulated microfibre came from Japan initially and fast began to shine as the way forward for manufacturers. Before you decide to buy your new cycling shorts; it may be beneficial to have a good idea of when you will need them and for what sort of riding you plan to undertake. For shorter leisurely rides it may be an option to wear your everyday gear, but you should consider your comfort levels. If you are a more dedicated rider then your options are vast, but you need to ensure you are padded to the right level to get the best out of your riding. For the more serious or professional ride; you would be better getting a higher spec set of cycling shorts that can offer multiple benefits that will reduce discomfort over different terrains, in different temperatures and for the longevity of comfort they provide. So; if you’re thinking why bother with specific clothing; take a little time to consider how long you will be cycling and just how comfortable you want to be. You could be forgiven for thinking that shorts are shorts, but if you already cycle on a regular basis you may be a bit more aware of the different types of shorts that are available. Simple shorts that are loose-fitting have a tighter liner inside them and usually offer no cushioning, they are produced using lightweight materials and are often more comfortable than regular everyday wear. Full bib and short sets are generally more comfortable to wear because they do not have restricting and possibly uncomfortable waistbands; and will come with suitable padding for your nether regions to improve comfort, reduce friction and chaffing. Cycling shorts as a standard come to fit in a variety of lengths from short shorts, to above the knee and down to below the knee for either extra warmth or sun protection. These are designed to sit true on your body with little movement or uncomfortable bunching; they also have the benefit of being offered with different levels of cushioning. Contemporarily; the recognition that gender differences require different areas of padding, you can buy unisex shorts but if you plan on cycling for longer periods; or even in races then a specific gendered pair will provide the best comfort for you. Modern technology is always finding new ways to provide ultimate comfort for cycling, and the fabric used to produce cycling shorts is high up on that list. Although a much-loved pair of cotton shorts may serve you well for the occasional ride, a more grueling or challenging ride requires something a little more substantial. Many types of shorts are made with either nylon or lycra, or a blend of both; this offers you greater flexibility, comfort and protection from moisture build up with the associated chaffing and soreness. The inner short chamois is made with softer, tougher material that provides padding where you need it most, these come in a range of designs using panels that offer cushioning on specific areas. The panel numbers will generally alter the overall feel, and range in number from four, six and eight, each panel sits in the most functional area where you get the best benefit from it. Silicone strips around the bottom of the legs are an ingenious way to stop your shorts from riding up your leg or twisting around which again, reduces the risk of chafing, bunching and rubbing. And make sure you look for flat seams – the last thing you want is a rigid stitching pressing against your skin. How tight you want your cycling shorts to be is obviously a matter of personal choice, but sometimes what ride you are undertaking can be a pivotal area in your choice of fit. For the hardy, experienced or professional rider; the snug next to the skin shorts are highly favored because they offer less drag, have better comfort levels, and are made to reduce and/or deflect moisture so damp doesn’t become a problem. If you prefer not to have obvious bulging or curves being pronounced with the tighter fit, then maybe the looser more casual style of shorts are more practical, these are made with fabrics that too; are moisture retardant but are more airy and comfortable. The looser fit shorts are probably not the ideal purchase if you are looking at breaking speed records – but will offer more freedom of movement. The weight of the fabric used should be noted too; some are a heavier gauge than others and will consequently be heavier to wear. The properties will vary slightly, as will the overall comfort levels depending on what or where you are riding. Stretch is also different throughout the range of cycling shorts, and it may be beneficial to try any shorts on prior to purchase to make sure the fit is right for you. This basic guide will hopefully give you a little insight into some simple practicalities to consider when you are thinking about buying your next pair of cycling shorts. And whether you are just starting out, are experienced or intermediate – the most important thing for you to get from this is that there are no specific no no’s; as long as you are prepared for the sort of riding you want to do, and are most comfortable you shouldn’t go far wrong. If you are going to be cycling all year round, then there are some other things you may want to think about; length is one thing, material thickness and thermal properties. Your cycling shorts do not necessarily have to be thermal because there is a good range of under-gear you can buy that will be thermal in their own right. That way, all you really need to be sure of is the correct type of over cycling shorts you buy. And if you opt for a specific pair of underwear cycling shorts – there is a top thermal layer that is just as suitable for riding in colder years. Q: Is it really recommended to leave underwear off when wearing cycling shorts? A: Yes, it is; cycling shorts are designed to be worn next to the skin and will perform better when worn as such. If you wear undies as well; you run the risk of uncomfortable bunching, chaffing and moisture retention. A: Most will offer some moisture resistance, but you are best advised to check the individual product specification to check for the actual grading or level of water resistance. Q: Are cycle shorts unisex? A: You may be ok to wear looser cycling shorts in a unisex design, but for longer rides, or even racing you are better to choose a pair that is specific to your gender because they have different padding in different areas for improved comfort. Q: Are bibbed shorts more practical? A: This can vary on your own personal preferences; generally speaking though they are thought to be more comfortable because there is no waistband to pinch in at your middle, they are therefore unlikely to bunch or to ride or twist around your body. The obvious downside, of course, is that bathroom rest breaks are not as straightforward – especially if you wear a jersey on your top. A: Regular leggings would probably be uncomfortable and cause chaffing and moisture build up. There are a good range of cycling tights and leggings that are specifically designed to be worn in this manner; they are flat seamed and lighter than regular leggings and will provide more comfort for you. As well as this they will often be treated with wicking properties and silicone strips to prevent riding on your legs. A: This can vary from brand to brand, therefore if you can try before you buy this is a good idea. If that isn’t possible – check the individual shorts sizing guide or order two sizes to make sure you get the right ones for you. Q: Do I really need padded shorts? A: It is recommended to get padded shorts, although it does depend on what sort of cycling you are planning to undertake. For shorter runs, you may be comfortable enough without them, but for longer rides or for racing or touring it is best to be prepared. Cycling for longer periods without padding will make you uncomfortable and may give you sores or create friction and chaffing on your skin. Check the thickness and rigidity of the padding if you are unsure before you buy as there is a good variety on the market. Q: Are cycling shorts compressive? A: You are advised to check each individual item for specifics, as not all shorts offer this as standard. Q: Does fabric thickness affect wicking? A: Not necessarily; the shorts should have item gauges on them so you can check the wicking capabilities before you buy. Q: Do all padded chamois have perforated gel layered within them? A: All brands will have their own specific padding system, and you should be able to find this in the product specification if you are still unsure – it may be a good idea to seek advice from a professional within the business.